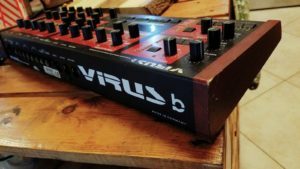 “This Virus B is in excellent condition and working perfectly. All controls have great feel and respond accurately. All lights and screen fully functional. 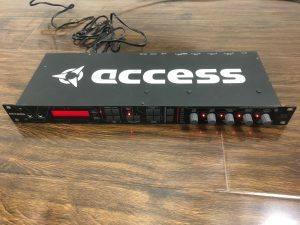 All ports and jacks in great shape and connect without issue. Sound is strong and clear from all inputs and outputs. Only light signs of use, in excellent physical condition. 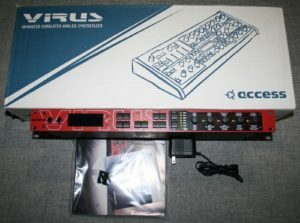 “Excellent condition Access Virus TI2 Polar. Unfortunately the time has come for me to part ways with my last and favorite synthesizer. I moved a few years back and never quite got around to unpacking all of my music equipment, so it seemed like a shame to keep something like this hidden away in a box when it was meant to be played. Comes with power cable and no box/manuals (misplaced them somewhere over the past few years). Plays well and every feature I tested works as expected. Auction is for the 37 key Polar model, NOT the 61 key Keyboard model as eBay insists upon describing it. 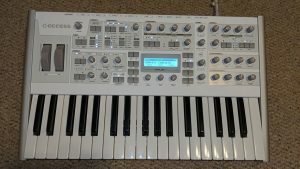 Picture shows the actual synthesizer, which again, is the Polar model. I hope you enjoy owning it as much as I did. It was the foundation of my music for many years, and it was a pleasure to play. “This Virus has never left the studio. Its like new. These instruments are built to last. Everything functions perfectly and no visual flaws. 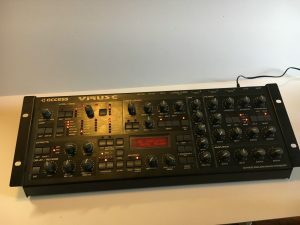 I am the first and only owner of this synth and it’s in PERFECT condition, which is very rare for a 20 years old synth and especially hard to find a Virus A or B without some kind of issue. Each and every knob and button is 100% responsive. 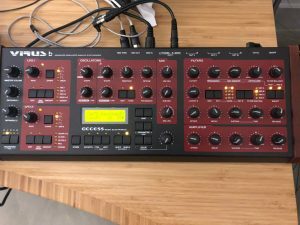 I’m selling it just because i needed more banks to store my own presets so i bought a Virus C a few days ago (8 banks instead of 4 on the Virus A). 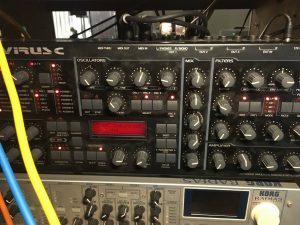 ” I’m the original owner of this unit and it’s mostly been in my studio and it’s in perfect working condition and cosmetically only has very minor rack scratches and the face is in excellent condition. The only noticeable cosmetic condition is when you look at the unit from above, the left side of the front metal is a bit curved. This was actually how the unit was when I bought it new and has never had any functional implications. “This is Access Virus B, “The Trance Machine”. I just found a small problem and had maintenance done by a syn-tech. You know how Japanese are good at. 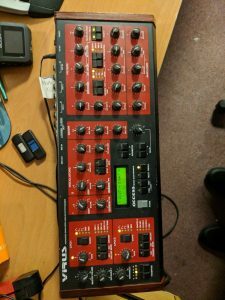 So it works fine but I am moving to soft synth world, so I need someone to take care of this baby!! This baby has a lot of scratches on her face. Nothing affects the sound, but if you want a “New” like looking I don`t recommend you this. The power supply is not an universal one. It is 100V 50/60 Hz for Japan. You might need a suitable one for your country. “Doing some studio clean out. I’m not the original owner of this unit. Has some cosmetic flaws. shipping. The internals move around from it being damaged. I taped it back together to keep the shell on it. 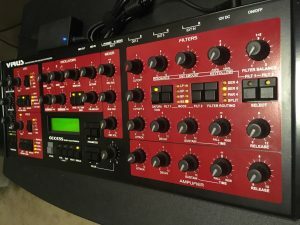 ” The original Access Virus A synth. 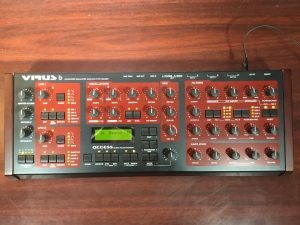 Great sounding virtual analogue synth from the late 90’s. 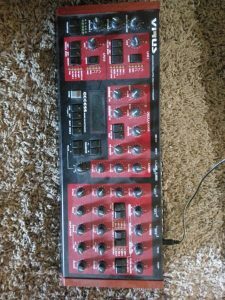 In great condition but with a few scuffs to the wooden sides, this has very high build quality compared to a lot of other synths. The knobs and switches are all perfect and the feel of the knobs is still as good as new. I wish all my synths were built to this standard. Comes with the original psu and the manual plus the manual addendum but no original box. “Used lightly in a professional smoke free studio. The rackmount is attached there in the photos by easily removed screws and also included are the wood sides mount for it. 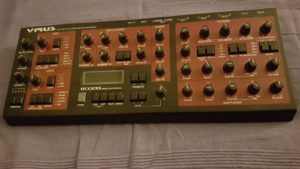 Ihr bietet hier auf einen Access Virus A Synthesizer/ Soundmodul aus dem Hause der Heidelberger Synthesizer-Schmiede, Waldorf, in kaum gebrauchtem und technisch einwandfreiem Zustand. Der Synthie wird heute nicht mehr hergestellt und avanciert damit zur Stilprägenden und limitierten Klangquelle für Elektronikliebhaber und DJ’s auf der ganzen Welt. Das Gerät ist ein absolutes Klangwunder mit den krassesten Sounds ever. Der Synthesizer weist insgesamt nur sehr geringe Gebrauchsspuren (Unterseite) auf und ist in einem top gepflegten Zustand (siehe Fotos). Alle Tasten, Potis und Display funktionieren einwandfrei wie am ersten Tag. Ich wünsche euch viel Freude beim bieten und beim Schrauben. 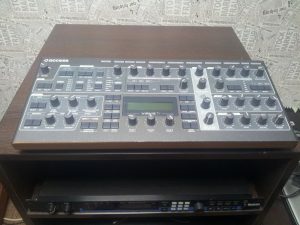 “Access Virus TI Shadow Snow Synthesizer! 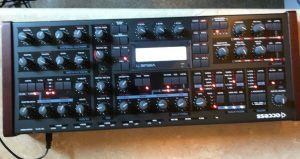 Listen up collectors, here is your chance to own a piece of synthesizer history! ONLY 15 shadow models were made, worldwide! Here is one of them!!! There is noticeable cosmetic wear which does NOT affect operation! I have taken pictures of the wear! It has been updated to the latest Virus OS!! !